View More In Grilling Planks. Save your table & show your pride with a 4Piece set of south Dakota coyotes sportula boasters. 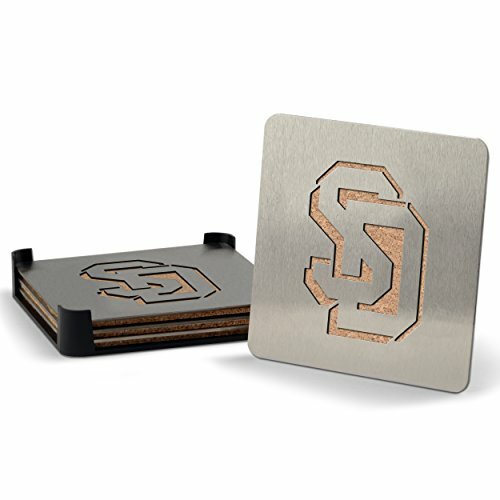 These heavy-duty stainless steel drink coasters sport a laser-cut team logo & a strong cork backing. The convenient caddy holds them when not in use. Great for south Dakota coyotes fan caves & sports bars.